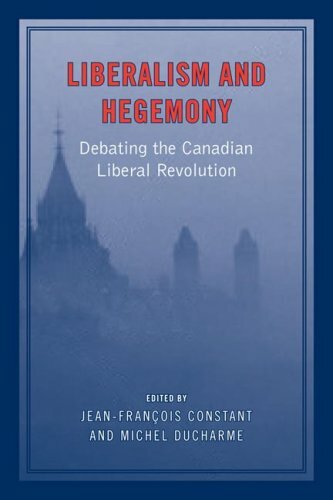 My review of Liberalism and Hegemony : Debating the Canadian Liberal Revolution. Edited by Jean-François Constant and Michel Ducharme. Toronto : University of Toronto Press, 2009 has appeared in the Canadian Historical Review. see here. I was asked to write a short review by the CHR and the CHR’s quite legitimate space constraints prevented me from developing all of my ideas about this book and about McKay’s Liberal Order Framework, which is the intellectual paradigm that underpins both the essays in the book and a vast body of literature. This is why I am posting this short essay here. The book I have reviewed in a collection of papers that were presented at a 2006 workshop at McGill University. The workshop was inspired by an article by Ian McKay that appeared in the Canadian Historical Review in 2000. In that article, McKay argued that Canadian history in the period from c. 1840 to c. 1940 must be understood with reference to the rise and hegemony of liberalism. Although McKay did not define liberalism precisely, it is clear that he was denoting a pro-capitalism ideology similar to what C.B. Macpherson called “possessive individualism” or what others might call classica liberalism. McKay argued that the Canadian state should be understood as a project of liberal rule in North America. Canada was a more of a “liberal Empire” and the expression of a particular ideology than a traditional ethnic nation. McKay’s basic argument was that liberalism drove the creation of Canada as a nation state. He says that Macdonald and his National Policy embodied economic liberalism. McKay alludes to the Soviet Union several times in his works on the Liberal Order Framework. One can see why, for the Soviet Union was an ideological project of rule, a Marxist empire, not a traditional nation state: some people in Russia applied the ideas of German and other thinkers and the created a vast Empire devoted to putting these ideas into practice. In McKay’s telling of Canadian history, the Dominion of Canada created in 1867 served a similar purpose– it was an empire allowed a clique of liberal-minded to implement the ideas of John Locke, Adam Smith, John Stuart Mill, and other liberal thinkers on the peoples of a vast territory. McKay, how is a former Marxist and is old enough to have known the Soviet Union, is making a very interesting comparison here. It’s interesting, but I don’t actually buy it. It is hard to understate the importance of the article by McKay. Today, many young Canadian historians situate their work within the Liberal Order Framework. Whereas in the past, a scholar might declare that they were going to provide, say, a Marxist or a feminist interpretation of X, Y, or Z, many emerging historians of Canada say that their research was informed by McKay’s Liberal Order Framework. If you pick a half dozen current Canadian history PhD theses at random, I bet you will find the McKay’s Liberal Order Framework has influenced at least three of them.In some cases, PhD students pay intellectual tribute to McKay’s 2000 article in the title of their thesis– e.g., “Mohawk Land Practices and the Liberal Order: An environmental history of Kahnawake”. Ian McKay is an important and prolific scholar who has said many interesting things in the past. His ideas deserve to be taken seriously. That being said, I am unconvinced by his Liberal Order Framework. In fact, I am uncomfortable with the fact that the “thesis” or “theory” that McKay advanced in 2000 is already being described as a “framework”, which suggests that the accuracy/explanatory power of the thesis has already been established through rigorous empirical testing. 150 years after Darwin published his theory of evolution, we still refer to it as a “theory”. It is a good theory that has held up well in the face of masses of research done by scientists on different continents. Why then have Canadian historians been so quick to elevate this theory into a framework before it has been tried with the acid test of empirical investigation by historians working in different sub-disciplines of history. Few of the adherents of the Liberal Order Framework appear to have given much thought to falsifiability. Falsifiability means that a theory could possibly be refuted by through new empirical research. That something is “falsifiable” does not mean it is false; rather, that if it is false, then this can be shown by observation. In the physical sciences, theories are tested in the lab. In history, theories are tested through the process of primary source research. I would ask those who support the Liberal Order Framework to imagine what sort of evidence could potentially undermine or disprove their thesis. In the review, I say that the papers in this book exemplify both what is good and what is deeply frustrating about McKay’s Liberal Order Framework. I argue that McKay and his followers are dealing with some really important issues– liberty, property, individualism, collectivism. Their historical research deserves to be communicated to a broader audience– to undergraduates and to history buffs who peruse the shelves of the big box bookstores such as Chapters. McKay’s research also ought to be considered by scholars working in the United States, Britain, and other countries. I think that the debate currently raging in the American historical profession about the weak American state could be informed by looking at events north of the border. Canada was an important part of the British Empire and it would be a good thing if historians of the Empire-Commonwealth based outside of Canada paid at least some attention the Liberal Order Framework Thesis debate in Canada. Unfortunately, this book’s readership is likely to remain confined to professional historians of Canada based in Canada. This is true of much of the secondary literature that has emerged in response to McKay’s Liberal Order Framework. Specialized jargon and unexplained references to Habermas and Foucault make the book inappropriate for both undergraduates and members of the public interested in history. Moreover, some of the essays are highly introspective–one finds very junior historians talking about their personal reactions to McKay, their first encounters with McKay, the process of being hired by Canadian university history departments. This might be interesting to a handful of academic historians, but it is likely to be boring, indeed, repellant to most other readers. Don’t get me wrong. There are some historians who have led very interesting lives and whose autobiographies would be worth reading. Consider Basil Davidson (1914-2010), the historian of Africa who was also involved in the effort to overthrow white minority rule in Angola and South Africa. Alas, few historians working in Canada today are terribly interesting. We are essentially civil servants who have grown up in boringly normal suburban families, have suburban families of their own, and who now write books with three readers. Lengthy autobiographical/introspective digressions by such folk are ridiculous. Students are very interested in what we have to say about the past, but they aren’t that interested in us as people. I would be much more interested in reading the about the thoughts and lives of, say, an immigrant entrepreneur who runs a restaurant than about another history professor. This book is also unlikely to be read by historians outside of Canada, which is a big shame because the historians of the United States and of the British Empire/Commonwealth need to pay more attention to Canada and its place in the North Atlantic Triangle and the relations between Europe and North America. Canadian issues were of tremendous diplomatic importance in the 19th century and it seems to me that if McKay’s Liberal Order Thesis is truly a suitable metanarrative/paradigm for understanding Canadian history in this period, it should have something to say about the diplomatic history of the period. Another major problem with this volume is that there is basically nothing about military and naval history in it. This is a shocking omission for several reasons. 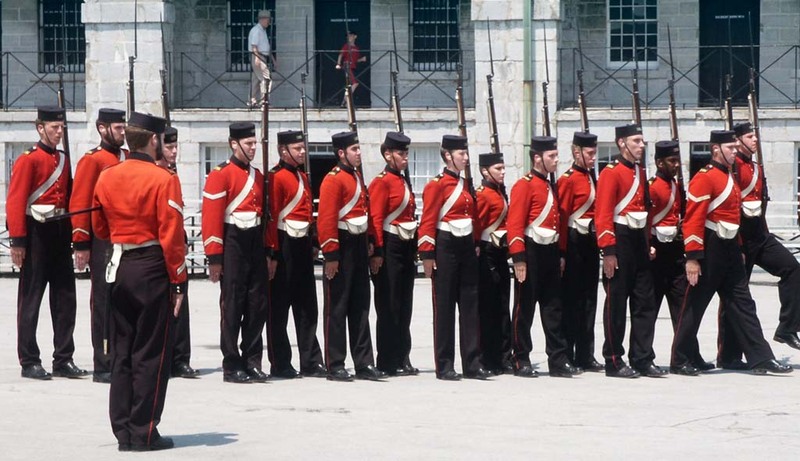 First, the military, specifically the British military, played a crucial role in the development of Canada in the 19th century. Consider, the city of Kingston, where Professor McKay teaches, a British garrison town that is today physically dominated by the looming hulk of Fort Henry, which was built to protect the settlement from the United States. Kingston is connected by the Rideau Canal to Ottawa, which was planned by the Duke of Wellington. It is not for nothing that the main street of Ottawa is named for the Iron Duke. Second, the military, a branch of the state fully funded by taxpayers and based on a hierarchical chain of command system, is a deeply illiberal institution, which is why 19th century classical liberals were so keen on cutting army budgets. Third, there is a large community of military historians in Canada. Any paradigm that seeks to explain 19th century Canadian history needs to be able to integrate military and naval history if it is going to be taken seriously. The other problem with this book is the lack of a serious comparative element. In fact, this is a problem that bedevils the entire Liberal Order Framework literature in Canada. First of all, the Liberal Order Framework authors do very little in the way of Canadian-American comparisons. I suspect that if they did more research along these lines, they would find out that the United States was more liberal than Canada in many ways in this period. Government played a somewhat less important role in the American economy, American judges took the idea of freedom of contract much more seriously than Canadian judges, it was much easier to incorporate a business in the United States than in Canada, it was easier to get a divorce. Just as importantly, neither McKay nor his followers engaged in other hemispheric comparisons. Canadian historians of the 19th century should be looking to both the United States and Latin America to make comparisons. McKay and his followers fail to engage in either sort of comparative analysis or indeed any type of comparative analysis at all. Perhaps the greatest single problem with this collection of essays and most of the scholars who work within the Liberal Order Framework is that is that none of these scholars really grapple with the fundamental weakness of McKay’s framework, namely, that the hegemony of liberalism in Canada does not really explain why Canada developed as a separate state rather than being absorbed by its superpower neighbour. The United States embodied liberal individualism as least as much as the Dominion of Canada, if not more so. Indeed, there is a vast literature on the ways in which American life has been informed by Lockean and other liberal ideas from the eighteenth century onwards. That’s why I liked Jerry Bannister’s paper on the “loyalist order framework”, which is part of this collection. Bannister’s Loyalist Order Framework provides a far better explanation for why most of northern North America did not become part of the Republic and instead coalesced into a separate country. He reminds us that the leaders of the scattered British colonies were united by a desire to remain British subjects and that Britishness was central to the Canadian identity until the mid-twentieth century. Bannister is correct to suggest that it is the loyalist order and its legacies, not liberalism, that make Canada distinctive from the United States. I like Bannister’s paper because I believe that 19th century Canada was the scene of a counter-revolutionary project. The British had lost most of their North American colonies in 1783 and they were determined to hold on to the rest. For their part, the United Empire Loyalists, the conservative clergy of Lower Canada, and other pro-British people in British North America were equally determined to remain British subjects and to escape absorption into the great republic. It is impossible to understand such pivotal events as the War of 1812, Confederation, or even the 1911 election without recognizing that the Canadian nation-state was the product of a big counter-revolutionary project that was, in terms of scale, almost as dramatic as the Counter-Reformation or the Holy Alliance, the league of reactionary European monarchs formed in the 19th century to suppress liberal and nationalist movements. There were, of course, classical liberal movements in British North America/Canada in the 1783-1914 period. There were some republicans, some people who wanted to join the United States, and some ardent Free Traders who loved the ideas of Adam Smith. Some of these liberals wanted Canada to join the United States. Goldwin Smith is one such example. Others wanted to implement the liberal agenda within the context of the inherited political framework, that is, a semi-autonomous colony within the British Empire. But these people were sailing against the current. For the dominant ideology, the hegemonic political project, was the counter-revolutionary loyalist one, which wanted to create a rival federation that would keep in the United States in check. The strength of this ideology helps to explain why creole nationalism (i.e., the desire to distance Canada from the Old World) was so weak in Canada when it was fairly strong in the rest of the hemsiphere– by the mid-1820s, most American countries had achieved independence from their respective European mother countries. Canada was the anomaly in the 19th century and leaders such as John A. Macdonald were acutely aware of this. I would argue that the situation in 19th century Canada, where the contest between loyalist sentiment and the nationalist desire for independence from Europe became wrapped up the struggles between economic liberalism and conservativism, was fundamentally the same as the conflicts then raging in other American societies. If McKay and the brigade of scholars he leads would engage in some comparative analysis, they would begin to realize the problems with the view that John A. Macdonald, who was an ardent anglophile, was also the champion of classical liberalism. Consider this comparison. Most Latin American republics in the nineteenth century were divided between the liberals, who typically admired the United States, and conservatives, who pined for the old days when viceroys had ruled in the name of distant monarchs and the Church had enforced doctrinal orthodoxy and censorship. The liberals saw themselves as the heirs of the revolutionaries who had overthrown Spanish rule and then established republics modelled on the United States. Their hero was Simon Bolivar, the brilliant commander who had led the rebellion against Spain and who had carried a copy of the Wealth of Nations while on campaign At the other end of the spectrum were the conservatives, who had opposed independence and now accepted it grudgingly. Although the specific issues fought over and party labels differed in each Latin American republic, the conservatives were generally Catholics landlords who wanted to preserve as much as possible of the monarchical ancien regime, whereas the liberals were usually anticlerical city dwellers who were inspired by the American and French Revolutions. One historian has summarized the agenda of the Latin American liberals thus: “constitutional government, the basic human freedoms, economic laissez-faire, opposition to military and ecclesiastical privilege.“ Throughout the Catholic New World, political and economic liberalism and creole nationalism were linked, although not all Latin American liberals were creole nationalists and not all creole nationalists were liberals. The situation was thus similar to Canada, where French Canadian bishops, the Family Compact, and arch-Tory Church of England ministers worked to strengthen the country’s ties to the Old World, with the classical liberals were more receptive to the idea of colonial independence and/or joining the United States, an entity they associated with free thought, science, technology, emancipation from religious doctrine, and individual liberty.. I have based by statements on Latin American political history on John Lynch, Simon Bolivar: A Life (Yale University Press, 2007); Hubert Herring, History of Latin America (Random House Inc (T), 1968), 585-7, 595, 306-10; John Chasteen, Americanos: Latin America’s Struggle for Independence, First Edition. (Oxford University Press, USA, 2008), 172-3; Frank Safford, “Politics, Ideology and Society in post-Independence Spanish America” in The Cambridge History of Latin America. Vol. 3, From Independence to c. 1870, edited by Leslie Bethell (Cambridge : Cambridge University Press, 2008, vol. 3. I attended a roundtable on the Liberal Order Framework at last week’s meeting of the Canadian Historical Association. Roundtable participants discussed the body of historical literature that has emerged in response to Ian McKay’s seminal article “The Liberal Order Framework: A Prospectus for a Reconnaissance of Canadian History,” Canadian Historical Review 81, no. 4 (2000). In the article McKay offered a new interpretative framework/ paradigm/metanarrative for understanding Canadian history. McKay says that in the middle third of the 19th century there was a liberal revolution in British North America—liberal, by which he appears to mean classical liberal, ideas became dominant and have been hegemonic in northern North America ever since. McKay argues that the project of building a trans-continental Dominion in northern North America was about imposing this “classical liberal” ideology on their various peoples of the territory, some of whom clung to various pre-modern, pre-liberal ways of structuring their societies. McKay’s framework has been taken up by a number of Canadian historians. Indeed, a book of essays written in response to McKay’s initial article was recent published by University of Toronto Press. Liberalism and Hegemony: Debating the Canadian Liberal Revolution edited by Jean-François Constant and Michel Ducharme. 1) McKay was not actually present at the roundtable on the liberal order. For some reason, the CHA organizers had double booked him for another event. This was really unfortunate, since the discussion took place without him. 2) I commend McKay for thinking big and for advancing a comprehensive theory of Canadian history. One of the advantage of Marxism and other once popular macro-theories of history is that they gave scholars a framework for understanding a world full of discreet facts and making decisions about which facts to select. The discrediting of Marxism and many of the other big theories left many historians without a theory with which to interpret the jumbled facts presented in the archive. 3) Theory is essential for the writing of high quality history. History is a discipline that is both empirical and theoretical. As I see it, it is the job of the historian to take a theory and see whether it applies to the facts of a particular case. If historical research produces too many data point contradicting the theory, then the theory needs to modified or discarded. To be credible, a theory must also be falsifiable. This is true for historical theories as much as scientific ones. As far as I can tell, McKay’s theory or framework lacks falsifiability because his definition of “liberal” is in constant flux, even within a single article. 4) Let me repeat this key point: the liberal order framework or theory lacks falsifiability because the word “liberal” is never clearly defined by McKay and his followers. Loose or slippery definitions allow a theory to escape refutation. It is clear that McKay is using the word “liberal” to describe something that relates to individualism and which is a distant cousin of capitalism, but he doesn’t supply us with a clear and robust definition of liberal that we can then use as a yardstick for judging his claim that the formation of the Canadian state promoted liberalism. Moreover, during the roundtable session, the participants threw around several definitions of the word “liberal”. Until I spoke up, nobody bothered to point out that they were defining liberal is very different ways. The meaning of the word liberal has changed dramatically in the last 150 years. It also varies from one English-speaking country to the next. Many Americans use the word “liberal” to mean a sort of soft socialist– which is clearly very different from a 19th century classical liberal (or “libertarian”) or the modern Liberal Party of Canada, which includes both classical liberals and soft socialists. 5) The liberal order framework purports to explain why a separate nation called Canada emerged in northern North America. So far, so good. I agree that understanding why Canada emerged as a separate nation state and did not become just another region of the USA is one of the _central tasks_ of the Canadian historical profession. I’m not certain that pointing out that liberalism was part of the political culture of Canada in the 19th century advances our understanding of why Canada exists today. The USA in this period was also, broadly speaking, a liberal country. Indeed, some classical liberals, most notably Goldwin Smith, thought that ends of classical liberalism would be advanced by continental union (i.e., Canadian joining the Union). In fact, the whole process of building a separate nation in North America has some profoundly illiberal elements, such as high tariffs and other protectionist policies, that were totally anathema to classical liberalism. I must say that McKay’s claim that Sir John A. Macdonald’s National Policy (a protective tariff) was an expression of liberalism was a bit far-fetched. 6) To my mind, a much simpler and therefore better explanation for the emergence of Canada as a separate nation in northern North America is anglophilia—namely the intense loyalty that many British North Americans in the 19th and early 20th century felt towards Britain and the British Crown. The project of creating Canada was, in large measure, about building up a British Dominion and resisting the north-south attractions of the United States. This explanation fits the available facts far better than any other proferred explanations, including the famous Laurentian thesis. Until the Other Quiet Revolution of the 1945-1965 period, Britishness was central to the English-speaking Canadian identity. 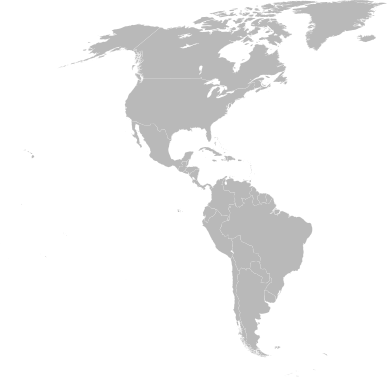 And it was the foundation of the Canadian nation state– the regions of North American that became part of the Dominion of Canada had nothing in common with each other, save that they were British territory, painted red on the map. Britishness was the glue that held them together. 7) In March 2008, I published an article in the Canadian Historical Review that cited McKay’s 2000 article and which then proceeded to undermine its central argument by looking at the debates on Confederation in British North America in the 1860s. The article showed that many, if not most, classical liberals in British North America were opposed to Confederation for fear that it would lead to higher taxes and “Big Government”. The proponents of greater government in the interventionism in the economy were, for the most part, on the pro-Confederation side of the debate. The research findings presented in the article are the exact opposite of what McKay’s theory would predict, since McKay connects Confederation and the building of the Canadian nation state to the rise of liberalism. I don’t know what the production schedule for the Liberalism and Hegemony book was like, but I thought that it was unfortunate that there were no references to this article in that book, which was published in May of 2009. Although it is possible to dismiss my CHR article as relating to just a single data point (i.e., Confederation), it’s an important data point and one that calls McKay’s whole framework into question. 1) First, I was pleased to see that there were some military history papers on the programme, including one by Tim Cook of the Canadian War Museum. I’m far from being a military historian, but for many years I’ve been disturbed by the growing distance between Canadian military historians and the rest of the historical profession. The military historians have their own conferences and journals and have become ghettoized. This is good for neither the military historians nor the historical profession at large. 2) I was also pleased to see that the Political History Group attracted a great deal of interest. Matt Hayday will be the first chair of this group, which is for CHA members who work on political history. 3) Blake Brown gave an excellent paper on the history of gun control. 4) I attended the roundtable on the Liberal Order framework. I spoke up to express my frustration with the lack of clear working definition of the word “liberal”. I WILL HAVE MORE COMMENTS ON THIS ROUNDTABLE SOON. 5) Several younger scholars recorded their presentations on video. They used a Flip video camera , which records in a YouTube compatible MP4 format. This augurs well for the future, for Canadian historians really need to embrace the Web 2.0. Ideally, the CHA should record all presentations and place them online. 6) I was pleased by the number of graduate students working on 19th century topics. In the last few decades, the focus of historians of Canada (who publish in English, at least) has shifted to the 20th century, especially the post-1945 past, and the earlier periods of Canadian history have been the subject of gross neglect. The number of emerging scholars interested in the pre-1900 and pre-Confederation periods is very, very encouraging to me.